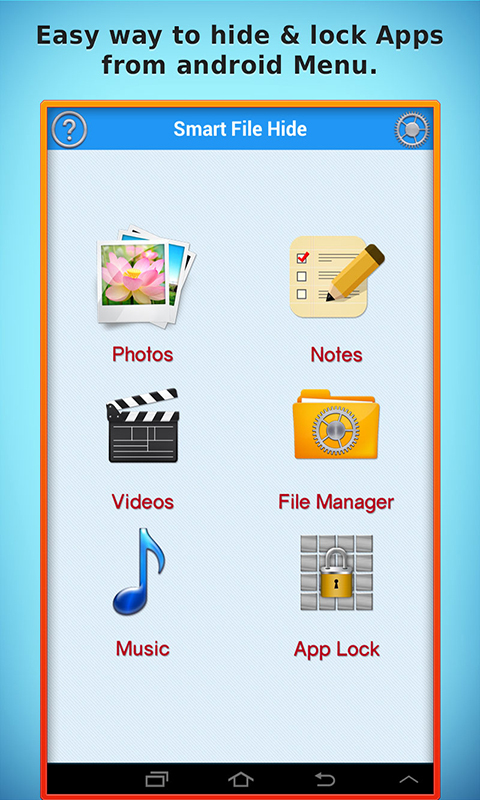 A fast, easy to use and user friendly file locker app which can hide all files like: images, videos, documents, and etc. 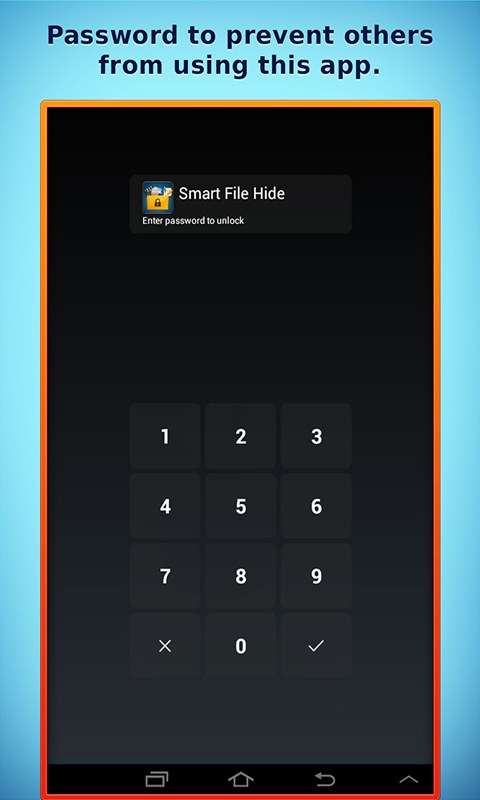 Try Smart file hide image & video app to experience the security, feature & performance. Now you can easily share your phone without worrying about privacy. Password and email is required before starting this vault hide app. Set PIN or pattern password. Set your email address for recovery of your password. 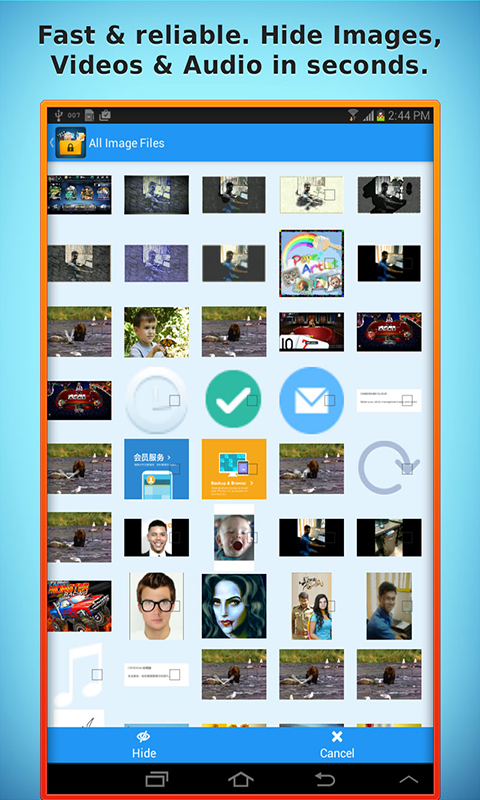 Smart file hide image & videos can easily hide pics, videos, audios and hide all files that you don’t want others to see. Hidden Pictures and Videos will disappear from your gallery and video player immediately after you hide them and will appear again once you unhide them. 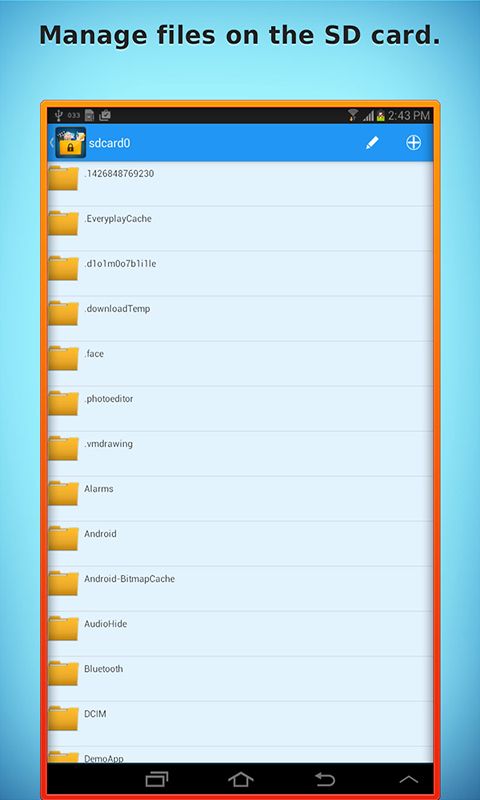 Additional feature in this file locker app. 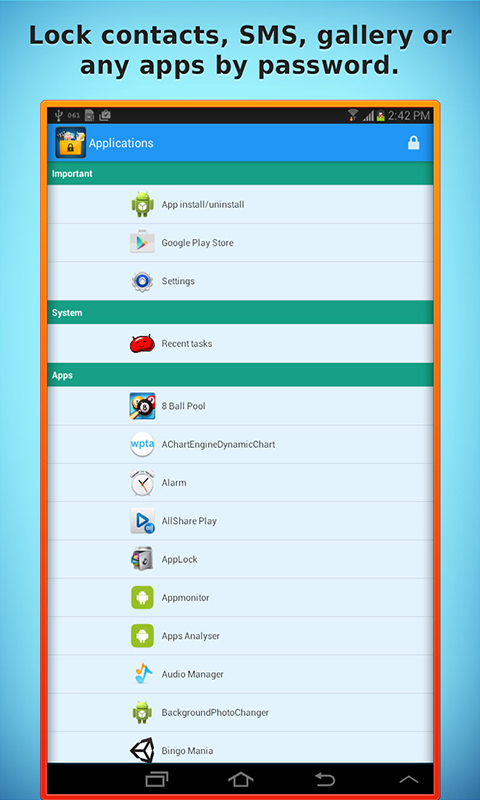 App lock: - Gallery vault can lock gallery, SMS, contacts, Play store, games, facebook, whatsapp and app you choose, with abundant options protecting your privacy. To do List: - With the widget To-Do list you can quickly write a note.